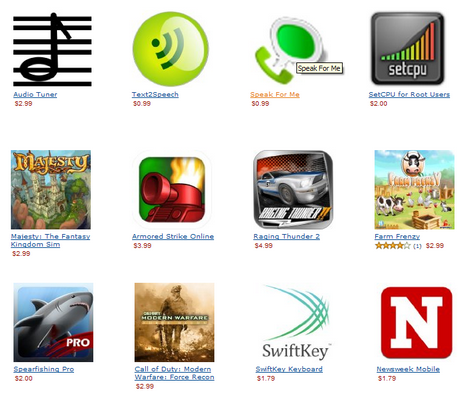 Amazon's Android App Store Leaked, Price Wars to Come? Amazon appears close to launching its long-rumored Android app store, according to the German Web site Android News. If reports are accurate, Amazon is starting an app exclusivity and price war much like the e-book price fight it engaged in (and lost) with book publishers last year. 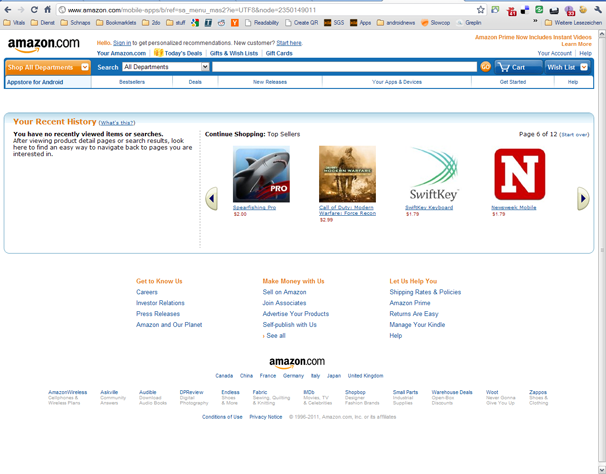 Android News uncovered Amazon's hidden app store by simply entering http://www.amazon.com/apps into a Web browser. The URL now redirects to Amazon's home page, but before it was re-shrouded, Android News grabbed screenshots and compared Amazon's prices to those of Google's Android Marketplace. The results: Not only are 14 of the 46 apps cheaper than in Google's store (Google only has 4 lower-priced options), Amazon also boasts 4 exclusive apps, including Call of Duty: Modern Warfare: Force Recon. In case you're unfamiliar with the Call of Duty franchise, this is a big score for Amazon; the franchise is a huge money-maker--the latest console offering, Call of Duty: Black Ops, pulled in $360 million in North American and UK sales during its first 24 hours. Amazon has also nabbed exclusive selling rights to the upcoming Angry Birds Rio game, another fat moneybag that ought to rocket Amazon's app store into instant prominence. Some of the store's other apps are well-known games and tools, such as Zenonia, Raging Thunder II, SetCPU, The Moron Test and SwiftKey. With so many app stores out there--and more to come--it'll be interesting to see, given Amazon's competitive stance, who will survive and what will be left of them.